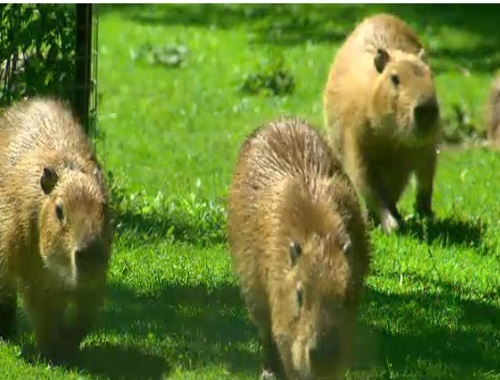 The offspring of Toronto's wandering capybaras now have names -- Alex, Geddy and Neil, for members of the band Rush. The High Park Zoo says the "capybabies" were born in February to famed escape artists Bonnie and Clyde. Coun. Sarah Doucette, whose ward includes High Park, says nearly 45,000 people voted in a contest held to determine the triplets' names. Runners-up included "Snap, Crackle and Pop", and "Mocha, Chino and Latte." What do you think of their names? Let us know on our Facebook Page post here.